Sessions in which presentation materials were made available are listed below. Click on the link within each session to view the materials. Back by popular demand, the Bowtie Economist opens the New Mexico Housing Summit with a high-energy, informative presentation that brings a traditionally dry subject – economics – to life. Elliot Eisenberg brings us the latest economic updates and forecasts as well as data on how New Mexico’s economy and housing market compares to nearby states and cities. For many organizations, strategic planning seems burdensome and may not always produce tangible results. Monica Abeita, who leads MFA’s strategic planning process, demonstrates a practical, engaging way to approach strategic planning that works within an organization’s unique culture, needs and goals. Gain a better understanding of how to create a strategic plan that is an asset to your organization. 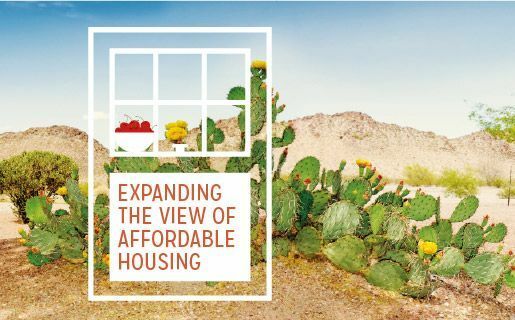 Fulfilling their Duty to Serve obligations in underserved markets, Fannie Mae and Freddie Mac report on new programs that are being developed for affordable housing preservation, manufactured housing and rural housing. Kelly Coffey from Fannie Mae explains how her experience in conducting national outreach roundtables across the nation and in New Mexico communities helped shape new lending programs for tribal and rural communities. Kelly Marrocco from Freddie Mac provides a summary of Freddie Mac’s 2018 initiatives, which are designed to assist Native Americans residing on tribal land and other high-need areas. Group participation is encouraged as we discuss the challenges and opportunities of serving underserved markets. Shawn Colbert, CPM, COS, Director of Housing Development, MFA; Jenn Lopez, President, Project Moxie; Jack MacGillivray, CPM, Vice President, Monarch Properties, Inc.
What you always wanted to know about the Low Income Housing Tax Credit program, but were afraid to ask. New regulations and requirements are in place for mortgage origination. This session summarizes the issues that are most relevant to Habitat for Humanity affiliates. Experts shed light on the silent epidemic known as brain injury and explore its impact in our communities as it relates to homelessness. Learn what a brain injury is and how to recognize it, understand how it happens and discover ways to deal with challenging behaviors. We also discuss the types of services that are available in New Mexico. Learn about the challenges and victories experienced by one agency as they implement the Housing First model. James Walker from Catholic Charities talks about what is working and what is still a struggle for the organization. Is your team dysfunctional? Do you have a hard time holding each other accountable and achieving results? In this workshop, which is based on Patrick Lencioni’s book Five Dysfunctions of a Team, participants learn what makes teams dysfunctional and what elements need to be in place to allow them to effectively achieve their goals. This session explores the unprecedented changes in our nation’s tax laws that have occurred over the last 12 months and what it means for affordable housing. Key staff from Novogradac and Company, the group that served as expert advisor to the affordable housing industry during this extraordinary period, look at changes that were made to the Low Income Housing Tax Credit program in the FY 2018 federal budget. We also discuss ongoing advocacy efforts for the Affordable Housing Credit Improvement Act and review the opportunities that lie ahead for affordable housing and the LIHTC program. Hosting an open house, walking through an apartment complex with a potential tenant, visiting a construction site or just going from the parking lot to the front door of your office can leave you vulnerable to a physical attack. Join one of the 2016 Housing Summit’s most popular speakers, Gloria Marcott, for an immersive session on how to keep yourself safe in any situation. Marcott also demonstrates tools that can provide an additional layer of safety. Sponsored by Vandyk Mortgage. Home should be a place where people feel safe and healthy. Unfortunately, many do not. Mold, asbestos, bad indoor air quality and other hazards are more common that most people think. This session explores what you can do to make your home -- or the homes you work in -- the safe haven a home should be. Donations from private sources allow nonprofit agencies to be innovative in how they accomplish their mission. Donations also help them weather the ups and downs of government support. Jean Block, a nationally recognized consultant and trainer on nonprofit management, shares creative and fun ways to improve your fundraising program. Sponsored by Century Bank. Did you know that the higher people go up the career ladder the less likely they are to ask for help? In this informative and practical session, we learn to recognize signs that key members of an organization are struggling. Discover techniques to effectively coach them and to help them reach their professional and organizational goals. Contributions from a local government or a private individual can be a game changer for an affordable housing project. 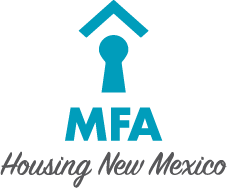 This session presents the success story of the collaboration among Santa Fe Habitat for Humanity, the City of Santa Fe, Santa Fe Housing Trust and Pulte homes. Discover how to leverage and maximize contributions to create affordable housing in your community. Industry leaders discuss current trends in the tax credit market. Topics include the pricing and timing of credit investments, investor deal requirements, and the market and regulatory forces that are driving investments. For a community to be strong and stable, its multifamily housing properties must be strong and stable. And stable properties don’t happen unless residents are involved. This dynamic session illustrates the power of resident engagement and the benefits of supporting them through community-based resources, services and activities. Experts share strategies for creating cooperative networks and promoting positive community well-being. Helping clients increase their income is an important part of helping them become more independent. Learn how to help people with multiple barriers to employment get back into the workforce. It is important that both service professionals and the general population understand how vulnerable individuals experiencing homelessness are to human trafficking and how severe the consequences can be for them. Learn how to identify those at risk, engage them and connect them to resources. Technological developments have created new ways for tribes and other housing entities to use GIS data and mapping to inventory and assess housing. Atkin Olshin Schade Architects have developed a user-friendly mobile app that uses this technology to assist communities in their preservation and rehabilitation planning efforts. In this session, AOS and staff from the Zuni Housing Authority demonstrate how the app was developed and customized for several New Mexico pueblos and how its powerful data management system is changing the way communities assess their housing needs. Sam Cobb, Mayor, Hobbs, New Mexico; Shawn Colbert, CPM, COS, Director of Housing Development, MFA; Michelle Den Bleyker, Vice President of Real Estate Development, YES Housing, Inc; Rob Olson, Chief Operations Officer and Co-Founder, Pavilion; Johnny Hamilton, Senior Regional Manager, Monarch Properties, Inc.
Take a journey from the conception and birth of a housing development through its twilight extended-use period. We examine what it takes to bring a project to life and how keep it alive for the long term. Dive into the world of developing housing for residents with special housing needs. Take an in-depth look at MFA’s new definition of special needs and what it means for Low Income Housing Tax Credit scoring. See real-world examples of how to provide services without a Local Lead Agency. Market studies consistently show that greener apartments provide higher returns on investments due to low turnover and high occupancy. Industry experts explain what property owners and managers can do to make their units healthier, safer and more energy-efficient for their tenants while increasing their return on investment. Sponsored by PNM Multifamily Energy Efficiency Program. Join MFA’s senior director of homeownership, Jeff Payne, as we explore the newly revamped Partners Program. This interactive session covers topics like application reviews and new lending limits and explains how this new and improved program can benefit potential homeowners in your area. This rewarding session explores how to use assertive engagement when working with individuals experiencing homelessness. We also focus on combining assertive engagement with diversion, making the techniques even more effective. Walk through the nine steps of diversion practice and strategies for assessing the need for shelter service. You’re all over social media with followers, subscribers and likes galore. People comment on your cute cat and like the cobbler recipe you posted. But do they look to you for their business needs? Do they even know exactly what it is you do? If you’re serious about using social media to grow your business and to represent the absolute best “business you,” discover how Facebook Messenger chatbots can help you secure leads and engage the people who matter to your business. Also, get an in-depth look at LinkedIn and learn how to create the profile of a true professional. Late last year, HUD released an updated version of their Compilation Bulletin. The new version had a lot of changes, which we review in this session. Get answers to all of your HUD REAC protocol questions. 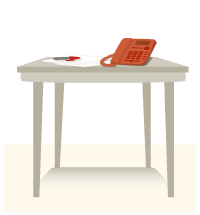 REALTORS, do you know what questions to ask your seller when listing a manufactured home? Do you know what to look for and where to look? Are there times you should decline to list a property? Lenders, do you know the potential paperwork pitfalls that await you in many manufactured home transactions or what’s involved in deactivating a title? Do you know how to determine whether a unit has been moved more than once? Industry expert Scott Florez answers these questions and more in this session that expands your ability to understand and handle listings and loans that seem overwhelming. This class is approved for one hour of CE credit. Whether you are new to the principles of trauma-informed care or looking to polish your skills, this insightful session provides strategies to prevent re-traumatization and secondary trauma in people with histories of trauma. Review how to recognize the presence of trauma symptoms, engage the individual and acknowledge the role that trauma has played in their lives. Learn more about this integrated, person-centered approach and strengthen your understanding of the high prevalence of trauma in persons experiencing homelessness in our communities. Join MFA’s community development staff for an overview of funding opportunities for homeless shelters and rental assistance programs. Learn the basics of applying for funding, eligible activities, regulatory requirements and program target populations. Help us help your community! Fair housing is more than a list of dos and don’ts. The mission of Fair Housing and Equal Opportunity (FHEO) is to eliminate housing discrimination, provide housing opportunities and create diverse communities. Join experts in the fields of property management and community services as we commemorate the 50th anniversary of the Fair Housing Act. Discuss how FHEO applies to you and explore applicability of laws, HUD regulations and best-practices through real-life scenarios and group discussion. Did you know that 98 percent of the human population fails to realize their dreams and true potential simply because they don’t know what their dream is or how to achieve it? Television and media would have you believe that you are not enough and that achieving your dreams is not possible. But that just isn’t true! This session introduces you to the first three steps in achieving the life you would love to be living. In this interactive, fun and life-changing workshop, discover how to blueprint, bridge and build a life that allows you to move toward your highest potential. With a few shifts in thinking, perception and self-talk, you can shift your life’s trajectory and head down the path you’ve always dreamed of. Registration opens on Tuesday, May 23. Registration space and hotel rooms are limited, so be sure to register as soon as registration opens. Hotel rooms can be reserved at any time - reserve hotel room now.